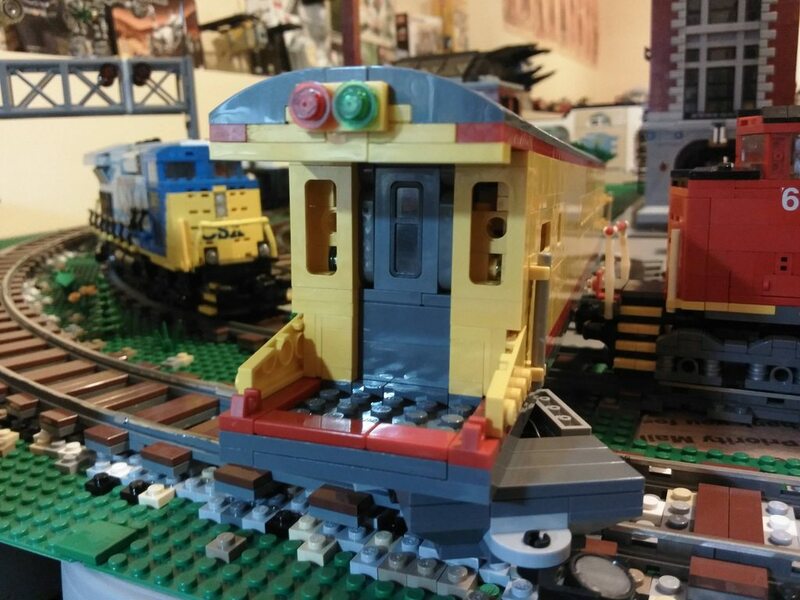 I have building question which I am hoping that you great train builders can help me with. 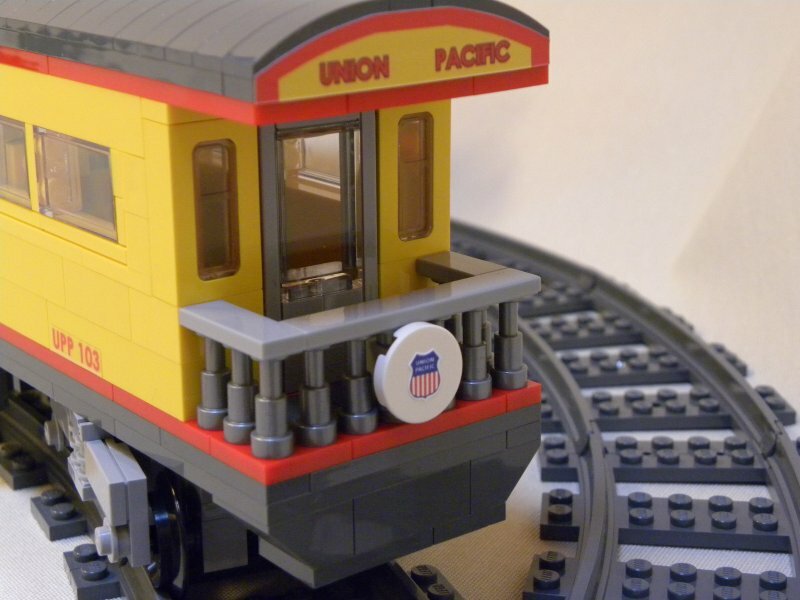 I have decided to make my 6 wide carriages into 7 wide This is great as I can now have two rows of seats in the carriages. BUT, I can seem to me the ends work. I need an end door that is 3 studs wide. I have tried some snot techniques including a 1x1 brick and 5 plates to make up the remaining 2 stud width and have dabbled with all vertical plates but have a 1/2 plate width left each side. Tim Gould has some nice 3-wide door ideas on flickr - I found this one in the LEGO techniques group. 3 studs = 7,5 plates. You can't avoid using panel 1×2×1 or brackets. These parts have half plate (0,5 plate) sides as well. 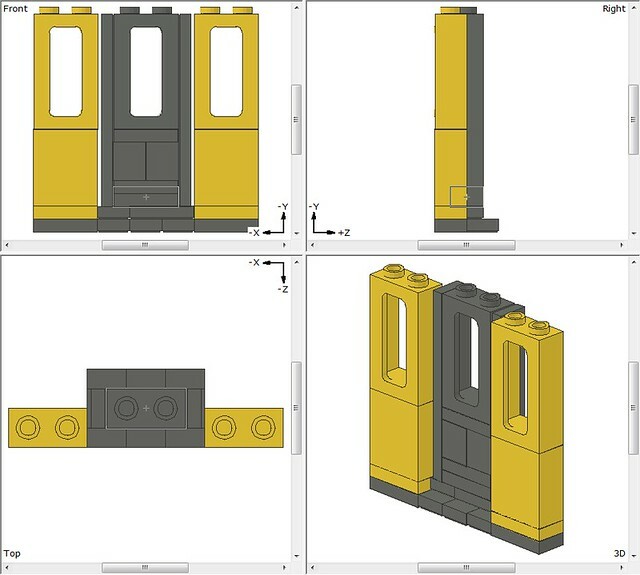 From left to right on the door: SNOT bracket (0,5), white plate (1), one trans-clear brick (3), trans-clear plate (1), white plate (1), white tile (1), equals to 7,5 plates. Can you show us a picture of your carriage? Depending on the rest of the shape there may be several solutions. Its kind of busy, but I really wanted to center that window in a 3 wide space. I agree with the others, this is looking pretty good. 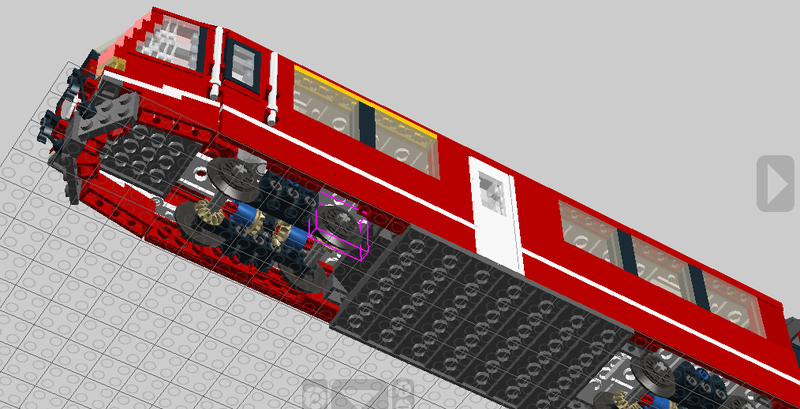 The only alternative I could think of to get rid of the rounded ends of the Technic plates would be to put 1x6 tiles either side of the window. That would leave a 1/4 plate gap between your door and the windows. Thanks all for your suggestions. Ive used the tile idea on the sides of a 2 stud wide door. Its all in black so the small 1/4 width on each side of the door is mostly hidden.